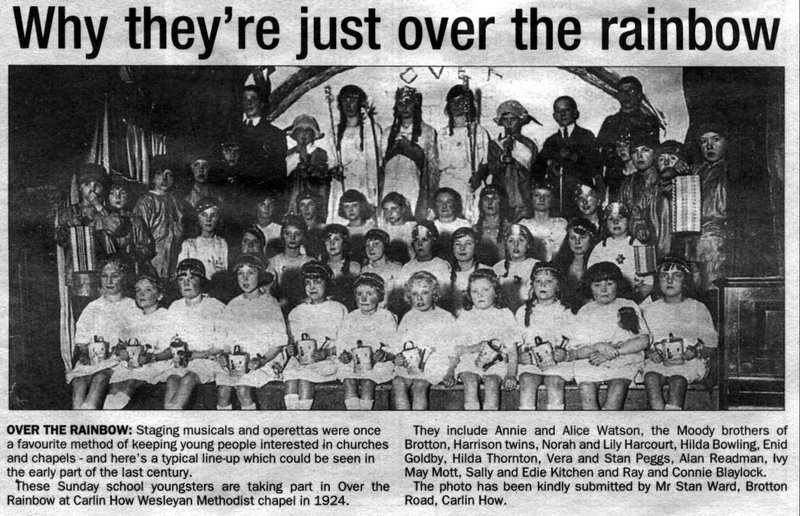 Over The Rainbow is the musical this group has been performing, 1924 was the date, most of the names are underneath the picture although they don’t tell us which name goes with which child. 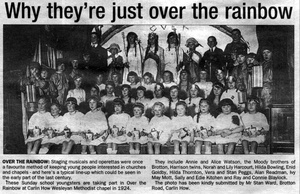 Some of the children don’t look too happy even if they have been over the rainbow. Hilda Bowling was my mam who married Syd Barwick in 1931. She is on the third row from the front and second from the right as you look at the picture. Mam was the daughter of Harold Bowling who was the first steward of the club. He moved to Carlin How from Hemsworth near Dewsbury in 1911 where he was the steward of the soldiers and sailors club there. He moved from the club to take up the position of landlord of the Maynard Arms sometime in the late 1920s 1929 (I think). I would appreciate any Information on my grandad or grandma.